A nurturing doll from Madame Alexander's Newborn Nursery Collection.This sweet newborn features the Lee Middleton Sweet Baby face sculpt. Sweet Baby is designed to look and feel like a real baby. He has the softest vinyl limbs with subtle airbrushed coloration for realistic soft skin. He measures 19 inches long and his huggable cloth body is weighted for a more lifelike feel when you cuddle him. Sweet Baby has blonde hair and blue eyes. 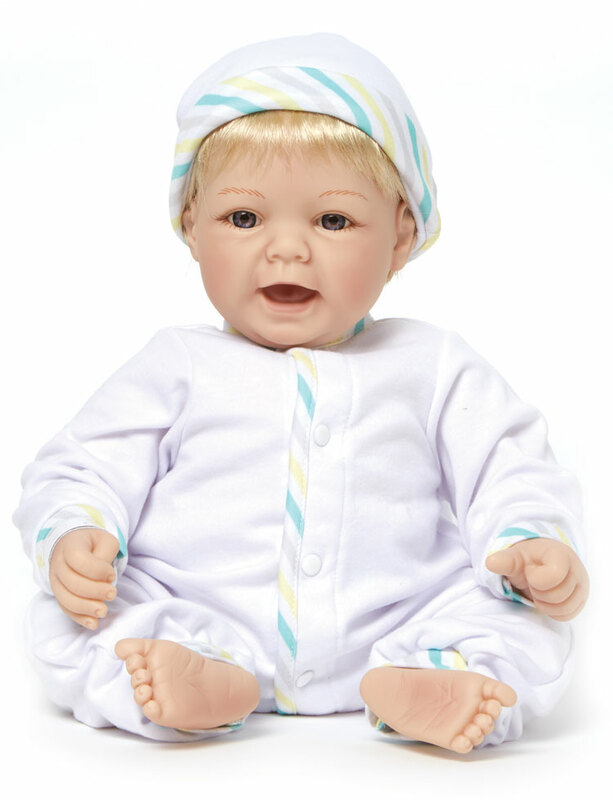 He arrives wearing a sweet little onesie with soft pastel accents of color and a matching hat. Snap buttons allow for easy removal of his outfit. 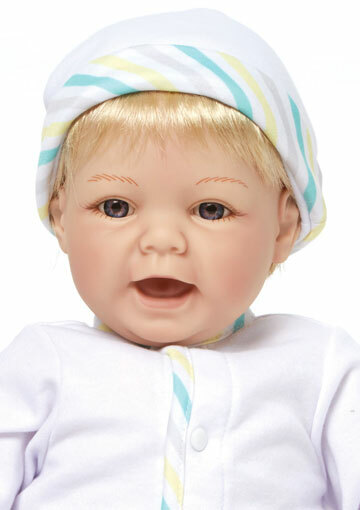 This is the perfect baby doll for any small child over the age of 3 or even grownups who are a child at heart. Arrives packaged in a Madame Alexander window box. Sweet Baby With Blonde Hair 76005 is part of the Madame Alexander Collection.